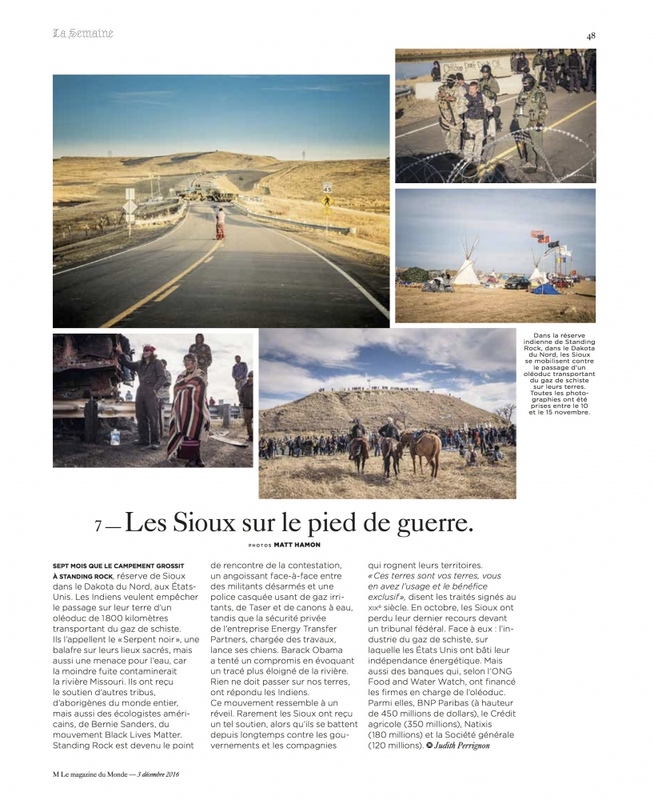 I have several images from the Standing Rock protest featured in this week's edition of M le magazine du Monde, published by Le Monde, and more work in their digital edition. I really appreciate the editors selecting my work to illustrate their coverage of this important and historic story. Merci beaucoup!